KUALA LUMPUR, Malaysia (AP) — Two of the world’s most intriguing mysteries are in the hands of Malaysian investigators. Will they ever find all the answers to either? One of them — the fatal poisoning of the half brother of North Korea’s ruler with a banned nerve agent — happened long after the other — Malaysia Airlines Flight 370, which vanished three years ago Wednesday. Investigators have far more evidence in the death of Kim Jong Nam, including his body and two suspects in custody, than they do in the disappearance of the plane, whose 239 passengers and crew could be forever lost in the Indian Ocean. Yet there are reasons to wonder whether Kim’s death may prove just as difficult to solve completely. While seven North Koreans are suspected of involvement in the apparent assassination, Malaysian authorities may be unable to arrest any of them. Hopes that the world’s greatest aviation mystery would soon be solved crumbled in January, when officials called off the years-long, deep-sea search for Malaysia Airlines Flight 370. The $160 million search of a remote stretch of the Indian Ocean off Australia’s west coast failed to find any trace of the Boeing 777, which vanished on March 8, 2014, on a flight from Kuala Lumpur to Beijing. For the families of the 239 people on board, the decision to suspend the search was devastating. 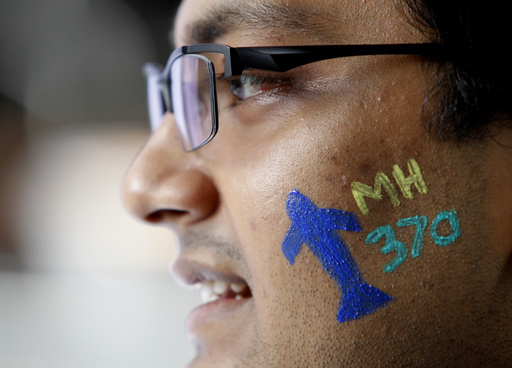 For the wider aviation industry and the flying public, it was unsettling. Would there ever be a resolution to the tornado of questions about how the plane vanished and why? Still, while the deep-sea search has ended, the wider investigation into the plane’s disappearance continues. In Australia, an international team of experts is studying whether an area north of the previous search zone could be the plane’s final resting place. On Saturday, Malaysian Transport Minister Liow Tiong Lai said there was an “85 percent” chance that the aircraft is in the new 25,000-square kilometer (15,535-square mile) area. An important caveat: Investigators previously expressed confidence that the plane was in the original search area — and it wasn’t. A search of the area to the north would also require fresh funding. Australia, Malaysia and China — the countries that paid for the original search — have said they have no plans to fund a new one unless they receive evidence of the plane’s exact location. So the families of those on board have launched an effort to come up with the money themselves, with a goal of raising at least $15 million through online fundraising and corporate donations. Investigators in Australia are also analyzing the way a recovered wing part known as a flaperon could have drifted through the ocean. The flaperon that washed ashore on Reunion Island off the African coast in July 2015 was the first piece of wreckage to be found. Investigators are conducting drift analysis on a different flaperon, hoping that will help pinpoint where the wing part from the Malaysian plane originated. Malaysia, which is leading the investigation into the plane’s disappearance, said authorities would also boost efforts to look for parts of the plane along the African coast. More than two dozen pieces of debris believed to have come from Flight 370 have been found so far, including two new pieces found off Africa about two weeks ago. Investigators are clinging to hopes the debris will yield clues to the main wreckage’s whereabouts. Finding the main wreckage — and the all-important “black box” data recorders — is the key to unraveling the mystery of Flight 370. Yet given the limited information available to investigators and the vastness of the Indian Ocean, the prospects of finding the devices without a major breakthrough in data analysis or advancement in underwater search technology are slim. Malaysia expects to release a final technical report on what happened to the plane based on the available data and evidence sometime this year. Kim, the estranged half brother of North Korean leader Kim Jong Un, died less than 20 minutes after he was accosted Feb. 13 by two women in the budget terminal of the Kuala Lumpur airport, officials say. Malaysian authorities have learned much since then, but they’ve hit a North Korean brick wall that could prevent them from fully solving an apparent assassination by chemical weapon. Two women charged with murder — one Vietnamese, one Indonesian — are accused of smearing Kim Jong Nam’s face with the nerve agent VX. No one else is in custody, but police are seeking seven North Koreans. Four left Malaysia the day of the attack, but the other three are believed to still be in the country. They include a North Korean Embassy official and an employee of Air Koryo, North Korea’s state airline, and police believe they may be hiding in the embassy. North Korea has scoffed at the VX claims, saying it would be impossible for the women to have poisoned Kim without sickening or killing themselves or others. It opposed the autopsy work the Malaysians have done and has not complied with Malaysian requests to interview suspects. Lawyer Sankara Nair said it would be a tall task for Malaysia to get hold of the four North Koreans who returned to Pyongyang, as well as the North Korean diplomat still in Malaysia. Malaysia has sought Interpol’s help to put the four men on its wanted list, but they would be vulnerable to arrest only if they leave their homeland, Nair said. The embassy official is protected by diplomatic immunity and is untouchable unless North Korea waives his immunity, the lawyer said. Nair said police can arrest the Air Koryo employee if he is still in Malaysia. If he is hiding in the embassy, police cannot enter the embassy compound and must wait for him to step out, Nair said. In the absence of these suspects, the case against the two women would depend on the evidence that police have. The women have reportedly said they believed they were taking part in a prank. If prosecutors can’t prove intent, the charge could be reduced to causing death by a “rash or negligent act,” which is punishable by a two-year jail term and a fine.